Thank you for shopping with rawlife.com. Please read these conditions of use before using this site which is operated by rawlife.com. We operate this site for the purpose of advertising equipment and raw foods to customers and potential customers. By using this site, you signify your acceptance of these conditions in return for which we will provide you with access. From time to time we may modify the conditions so please continue to review the conditions of use whenever accessing or using this site. If at any time you do not wish to accept these conditions then don't use this site. These terms will apply to all your purchases of items from the our store, whether you are ordering online or by telephone. Please read this document carefully before placing your order. You can pay for your order by Visa, Mastercard, American Express, paypal, mail or by phone. We will take all reasonable care to keep your order details and payment secure. We will confirm acceptance (or otherwise) of your order as soon as possible, either by email (if your order is placed on-line) or by telephone (if your order is placed over the telephone). A binding agreement arises once we accept your order and we will then charge your credit/debit card on acceptance of your order. All items are subject to availability. We can only guarantee availability while stocks last. If the goods ordered are unavailable, we will contact you with suggestions of goods of equivalent quality and price. Items cancelled before being shipped will be fully refunded. Once items ship, our return policy take effect. Packages ship USPS and/or UPS depending on the size, weight and destination. Please indicate in the Notes section if your delivery address has any limitations or special instructions. If this note is missing, and the package is returned to us as undeliverable, customer will be responsible for any and all reshipping fees. We will ship your order as fast as your paid shipping allows. Typical delivery times are as follows: If your order is under 5 lbs, your package will travel Priority Mail USPS (2-3 day delivery). Larger expedited orders are sent 3 day air with UPS. Please note that website shipping prices generally only apply to the 48 states. **We only ship certain items Internationally. If you place an international order and we cannot ship it we will fully refund you for your order and shipping cost. Raw LIfe Inc. is not responsible for Lost/Stolen/Mis-routed/Not Received/Customs Captured International packages. If such a misfortune occurs, for our part, we will file claims with the post service on your behalf. If an undelivered package is returned to us, you can choose to: 1. Receive a refund for the items bought (minus the initial shipping fee) or 2. We can collect another shipping payment from you and attempt to reship the items that were returned to us. Raw Life Inc. is not responsible for duties or fees incurred by Customs, nor can we provide an estimate of the cost of potential duties that may be assessed to a particular package. Recipient of package is responsible for any and all duties or taxes incurred by Customs. All items entering a foreign country are subject to Customs inspection and the assessment of duties and taxes in accordance with that country's national laws. If duties and taxes are assessed on an item mailed, they are collected from the recipient. In addition, for most countries, there is an administrative fee that is collected from the recipient to cover the costs of clearing the item through Customs and collecting duties and taxes. It is your responsibility to contact your customs department to determine whether any duties/taxes apply. If you refuse to accept delivery and merchandise is returned to us, you will be responsible for the additional return shipping costs and applicable return fees. All of your purchases at Raw Life Inc. are covered by our 14-day un-open money back guarantee. We also pledge a 24-hour response time (Monday through Friday) on your e-mail requests. Our specially-trained staff of customer service representatives is available by email at customerservice@rawlife.com. Please e-mail our customer service within 14 days of the shipment date to receive authorization and return instructions. If you do NOT get a response to your email or phone call within 24 hours, it is safe to assume the correspondence was not received, and you should attempt to contact us again. If you have not opened your product within 2 weeks of your purchase. We will refund your money or give you a store credit for the cost of the item minus the shipping cost. Customer is responsible for the cost of shipping on returns. All items must be returned and undamaged, unused and unopen within 2 weeks. We will refund any unopened appliances and other quilifying product up to 14 days. We cannot take back any items that are opened! Also if appliance is damaged when open you must contact the maker for repair or replacement. All returns unopen that we will take back may include up to a 20% restock fee. 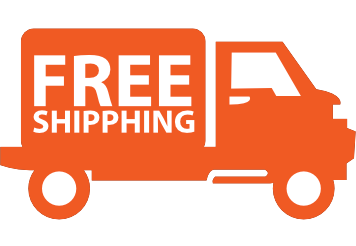 Shipping for The Ejuva Cleansing Kit or another other items by Ejuva is free to 48 States. There will be an extra shipping charge of $50.00 for Hawaii, Alaska, PR and Canada. We cannot ship this items to other countries. Customer is responsible for all fees if for any reason the shipment comes back and a restock fee. If for any reason you are unhappy with a *product (exceptions below) you have purchased from us, you may return it for a full refund -- less shipping and handling if it is not opened. Only un-opened packages of any product is eligible for return. All the products must be in a factory sealed container for refund. Customer is responsible for shipping any unwanted product back to us. Please see return protocol below. If you have NOT used the appliance, and NOT broken the manufacturer's seal on the box, you can return the appliance within 30 days of purchase for a full product refund. If the box has been open in anyway we can that take it back. The original shipping charges will not be refunded and return shipping charges must be prepaid by the purchaser. *Please see return protocol below. Your RMA# is your order number. Please write your RMA# on outside of the box in clear bold writing. Failure to do so may result in the box being returned to you unopened, or delays in processing your refund. Whatever the return, customer is responsible for the cost of shipping the product back to us. We highly recommend purchasing a delivery confirmation for your package, and that you take note of the tracking number your return package is assigned by the post office or UPS. Raw Life, Inc. is not responsible for return packages lost in transit. If you have any queries or require further information regarding our products or your purchase, email us via the contact page and we will be glad to assist you.